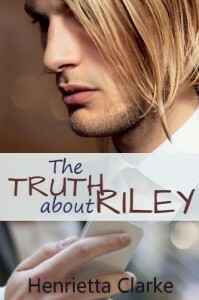 The Truth about Riley - Cristina T.
I was really looking forward to this book, but unfortunately, I didn't like it as much as I thought I would. I did enjoy the idea of the book, and some other aspects, but it the end, I was left unsatisfied. Bummer. • The dialogue: Dialogue is fantastic when done well. This book is 90% made up of dialogue, and i have to say the author did a good job of keeping the conversations between the MCs interesting. • Cam: This guy is utterly sweet, and he has the patience of a saint. I felt so bad for him at times, because he was very supportive and he just kept being pushed away for his efforts. Deep down a lonely guy in need of love, Cam would do anything for Riley and wait however long it took for Riley to meet him face to face. • Riley's Italian mamma: I seriously adored this woman! She was there for her son without fail and she offered great advice. Also, I loved how she accepted Cam without a second thought and made him feel like he could have a mother, too. • Riley: Well, how I feel about him is a little hard for me to explain. First of all, I understood why he was so insecure, and he was entitled to feel that way, after everything he went through. I got why it took him a long time to be able to come out of his shell and accept love. Still, he also frustrated me endlessly, because I–the reader–already knew Cam had liked his looks for a long time before Riley found out. So, I wanted to be as patient with him as Cam, but at times I couldn't. So, three stars it is. I think that will suffice.